B's Beauty and Books: MINE (The REAL Series #2) Review!!!! 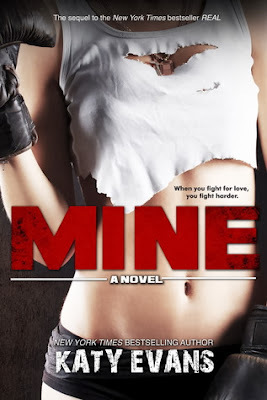 MINE (The REAL Series #2) Review!!!! I loved REAL. In fact I called it my favorite book of the year so far back in June. Seeing a fighter who is struggling with a mental illness and somehow finding true love was such a powerful and beautiful story to me. I loved everything Remy. In fact I would have been happy if it was just a standalone novel. Her family made me crazy. Her parents confuse me because they love her, but she says they look down on her for tearing her ACL, and yet they seem heartbroken because she is pregnant with Remy's child. Her sister, Nora, is as irritating as she was in the first book. I get why she does what she does, but seriously, haven't Remy & Brooke sacrificed enough for this stupid girl? Remy and his rag tag posse are amazing, and the only saving grace to this book. His strength is beautiful and heartbreaking at the same time. I actually felt even deeper for him on this one. He is conflicted and his family is...well ridiculous! We find out what happened to him as a kid in this book and it is disgusting. Some people shouldn't procreate. Because of Remy and his gang I give this 4 lipsticks. If I was to judge this on Brook it would have been 3 lipsticks. Katy Evans, thank you for giving us Remy. I can't wait to read his version in REMY!